This module combines the many skills and techniques required to be a competent public speaker with the philosophical interpretive base built in Module 101. The components in this module cover key areas of public speaking as applied to interpretation. Effective interpretive talks will include the cohesive development of ideas that give the audience an opportunity to form its own intellectual and emotional connections with the meanings and significance of the resource. Success will be based on the interpretive philosophy built in Module 101 and the successful use of the mechanics of public speaking contained within this module. Requires the interpreter to be able to plan, prepare and effectively present a professional interpretive talk that facilitates opportunities for the audience to make their own intellectual and emotional connections to the meanings/significance of the resource, through the cohesive development of a relevant idea or ideas. A videotape or DVD recording of a stand-alone interpretive talk, developed and presented by the interpreter before an on- or off-sight audience. View the Assessment Standard. View the Submission Guidelines. 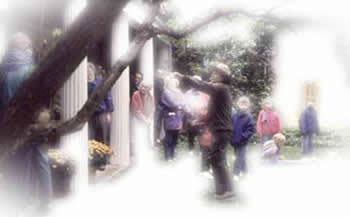 A new NPS-developed on-line course in the Interpretive Talk is available at http://www.parktraining.org.